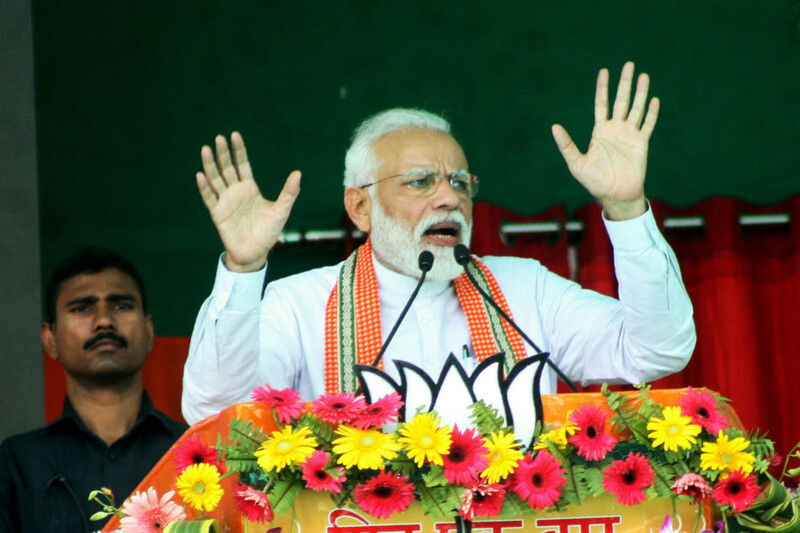 Swearing ferocious vengeance against Pakistan, Modi has had to resort to dubious claims about destroyed terrorist camps and hundreds of dead Pakistanis in order to appear a man of his word. Indeed, in an effort to back up claims that India’s economy has grown faster under his leadership than his predecessors’, his government has even imperilled the credibility of India’s official data. Yet it seems likely that Modi will return to power next month at the head of a coalition government. What explains his Teflon premiership? Arguably, it’s the same thing that propels other masters of generating slick, seductive and unreal narratives such as US President Donald Trump and Instagram megastar Kylie Jenner. Certainly, no electoral arithmetic alone can account for Modi’s chemistry with many young Indians. He has cast a spell on them — and it is the nature of that unprecedented enchantment that ought to be examined. On the day of his election in May 2014, I described him as India’s “canniest artist”, who mesmerised restless youth with fantastical visions of the Indian past and future, as well as his own abilities. It seemed clear even five years ago that Modi’s main stock-in-trade was illusion and that to fault him for his hostility to facts or indifference to rational discourse was beside the point. A champion tweeter, he delivers his rousing speeches in fancy dress, embodying a now-commonplace compulsion for political leaders to perform as regularly as the influencers of Instagram and YouTube — to put themselves on permanent display without aesthetic or moral inhibition. In the pseudo-egalitarian spirit that prevails on social media, he still presents himself to his primary audience of ambitious young strugglers as one of them: a self-made, self-optimising individual. Unquestionably, his impassioned assertions — whether about his 56-inch chest, his poverty-blighted childhood or his loathing of entitled dynasts — belong to an unabashed and noisily democratic culture of exhibitionism rather than to the cold and forbidding climate of autocracy. He may have failed to remove the crippling limits on socioeconomic mobility for most Indians. But he has deftly compensated for the lack of such substantive freedom by facilitating and popularising highly expressive forms of liberty. These include not only the freedom to play (for instance, to consume videos on smartphones, a fast-growing addiction among the labouring as well as leisure classes in India), but also to communicate far and wide and, most importantly, to ventilate strong, often hateful, emotions. It’s hardly surprising then that Modi has sustained his electoral appeal largely through overhyped “surgical” strikes on Pakistan (eulogised recently in a Bollywood-style music video that has gone viral) and sensationalised reports of mass casualties, or that his fans are never more energised than when attacking beef-eating Muslims, liberals and other allegedly “anti-national” Indians. For Modi is now only superficially like a conventional leader with party, ideology, manifesto and electoral campaign. With his shrewd grasp of the prevailing cyber-culture of aggressive self-optimisation and extravagant self-regard, he seems more akin to the current monarchs of social media. His opponents have as much chance of keeping up with him as they do with the Kardashians. Pankaj Mishra is a Bloomberg Opinion columnist. His books include Age of Anger: A History of the Present, From the Ruins of Empire: The Intellectuals Who Remade Asia, and Temptations of the West: How to Be Modern in India, Pakistan, Tibet and Beyond.